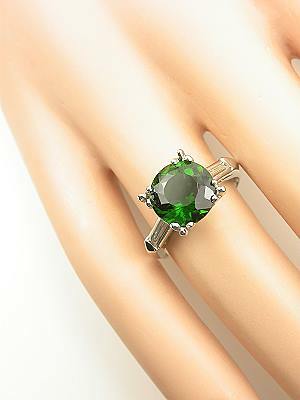 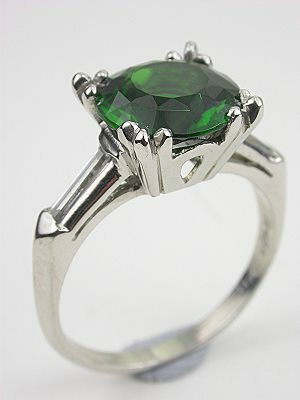 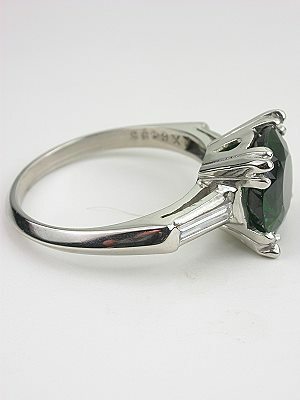 Special characteristics This ring is hand wrought with an airline design for a classic look. 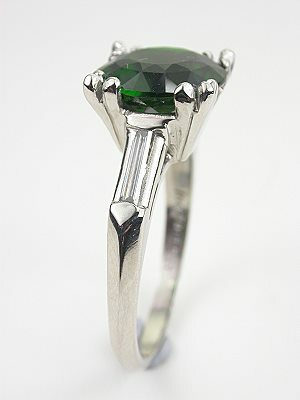 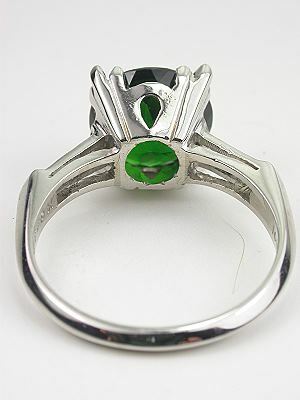 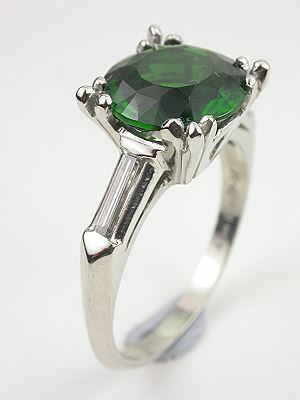 A Chrome tourmaline sits majestically in a 4 prong basket center head with straight baguette cut diamonds on the shoulders of the shank. 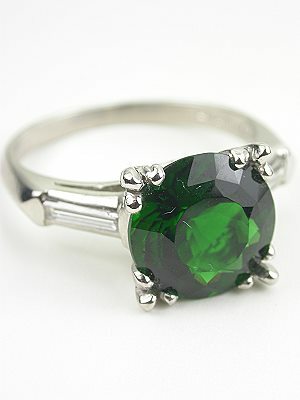 Other notes Topazery's Earth Collection includes platinum and gold jewelry set with diamonds and gemstones in the warm earth tones of greens, browns, and the golden shades of Autumn. 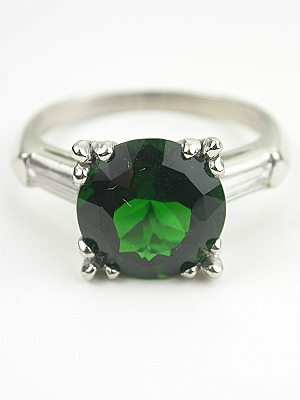 Celebrate a special occasion with a Topazery Earth Collection ring -- each jewelry piece is as enchanting as the natural beauty all around us.